Eric Max teaches negotiation and mediation to MBA and law students at the Wharton Business School at the University of Pennsylvania. Mr. Max has also taught mediation at NYU Law School. 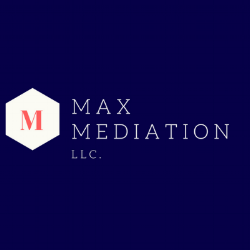 In his previous capacity as director of a state mediation office (1988-2017) Mr. Max has mediated over 1,500 civil cases for the state and federal courts involving claims in excess of $1 billion. These cases have involved all types of civil litigation including: employment, insurance coverage, environment, personal injury, bankruptcy, contract, construction, health care, product liability, civil rights, malpractice, OPRA and foreclosure. Mr. Max has also received the CPR National Award for Outstanding Practical Achievement in Dispute Resolution for his work mediating cases for the courts. Eric Max can be reached at Eric@Maxmediation.com or 215-369-2827.